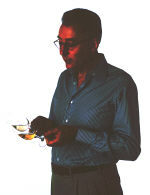 Michael Schuster studied tasting in Bordeaux where he gained the University Tasting Diploma. After working in the early eighties to create an award-winning retail business he now works independently as a writer and lecturer, running his own wine school, Winewise, in north London. He is a member of the regular panel of speakers on the wine courses of Sotheby's and Berry Brothers, & lectures to both professionals and amateurs throughout the UK as well as abroad. He is on the Committee of Management of the Wine Society, and in 2002 he was elected a member of the Academie Internationale du Vin. He has written for Wine & Spirit, Which? Wine Guide, Decanter, Wine, and most recently for the new Fine Wine magazine, The World of Fine Wine, as well as contributing entries for the Oxford Companion to Wine. In 1987 he translated Emile Peynaud's Le Goût du Vin, in 1989 his Understanding Wine (M. Beazley) was published, in 1992 he worked with Serena Sutcliffe to produce the second edition of her Guide to the Wines of Burgundy. Understanding Wine was translated into six languages and sold over a quarter of a million copies. In 1994, 1996 and 1998 he was a member of the panel of nine international judges in Australia's premier wine competition, the Sydney International Wine Competition. 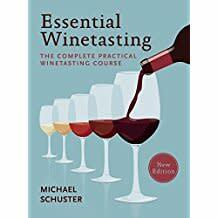 His latest book, entitled Essential Winetasting (Mitchell Beazley), based on his courses, was published in November 2000. I met Andrew when he attended one of my Beginners Wine Courses in the 1990's. At the start of the first evening I ask people to tell us all (we are a maximum of twenty) who they are, why they are doing the course, and what their profession is, so that I can begin to remember names, and so that we all get a sense of the make up of the group. Andrew mentioned that he was a literary agent. I was already on someone's books, and thought no more about it. But at the end of the last evening, as he was leaving, he asked me if had an agent. When I answered yes, his response was: â€œWell, if you ever think of leaving them, I'd like to represent you! Which he began to do, most forcefully and efficiently, very soon after.